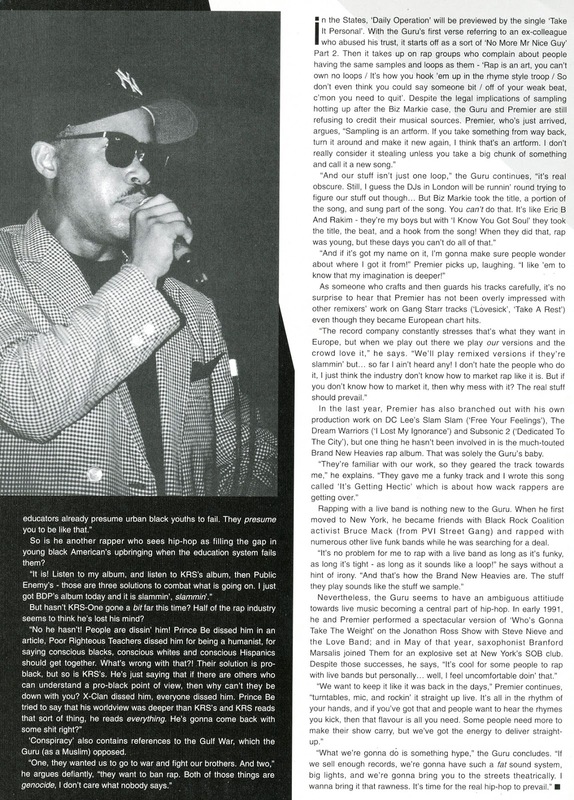 'Shining Starr'; a Gang Starr feature in the April, 1992 issue of Hip Hop Connection. 'Daily Operation' being one of my favorite albums, I always enjoy going back and reading this article. Guru offers some back story on select tracks, lyrics he likes and straightens out the record on certain rumors. 'We want to keep it like it was back in the days. 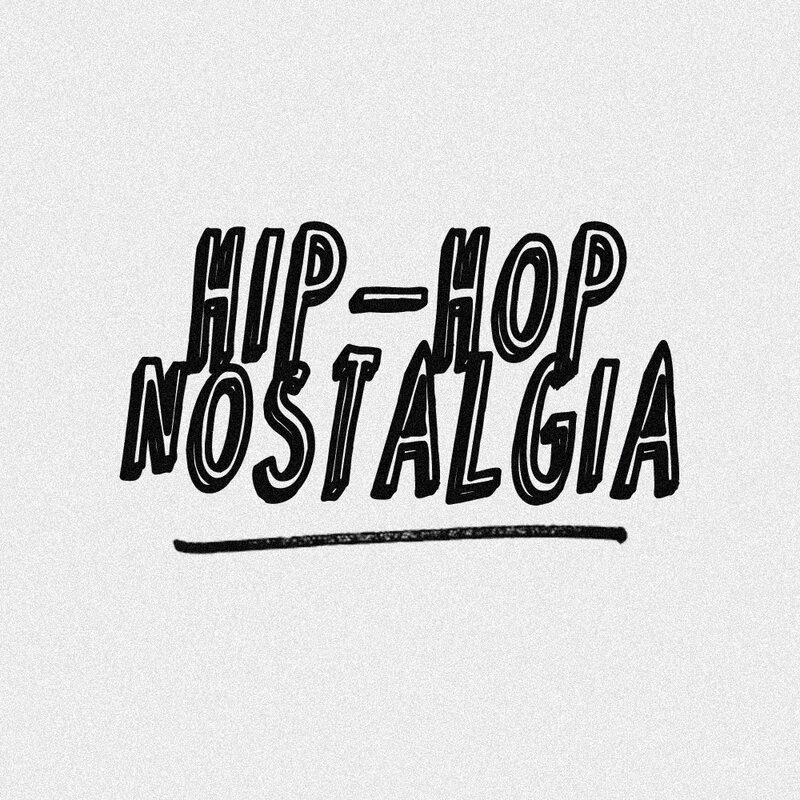 Turntables, mic and rockin' it straight up live.' 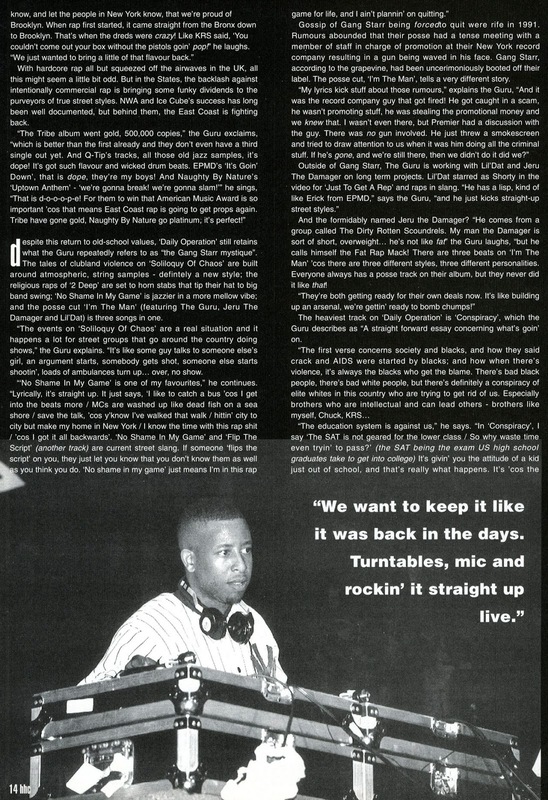 For sure, I've always seen DJ Premier do his cuts live and they perfected turning two turntables and a mic into all they'd ever need. 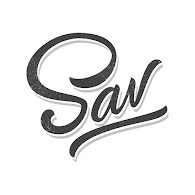 I look forward to the day when Premo can officially open up those vaults and share gems from back in the day. 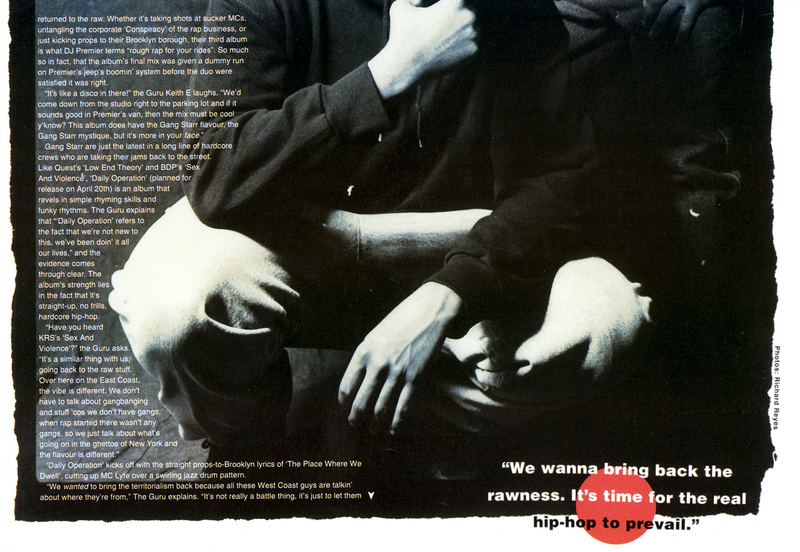 In the meantime, DJ Premier still reppin' for Gang Starr & there's a catalog of music to go back and enjoy. 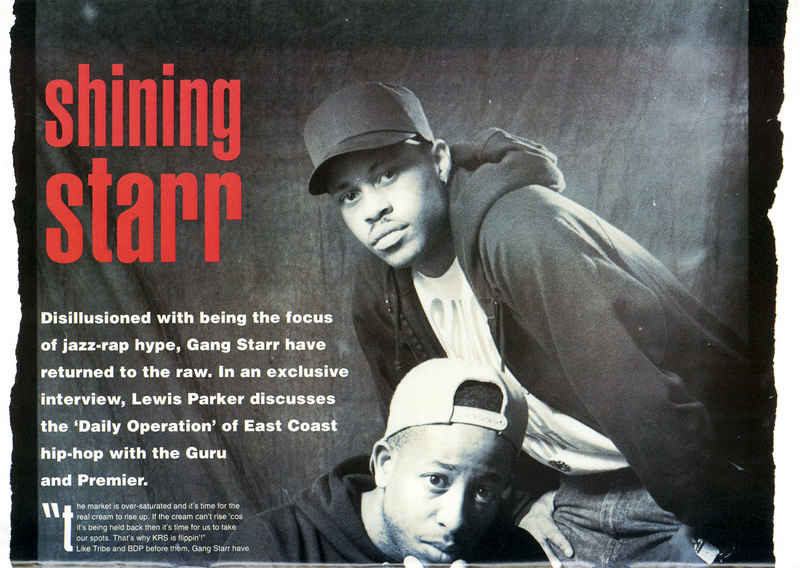 RIP, Guru!